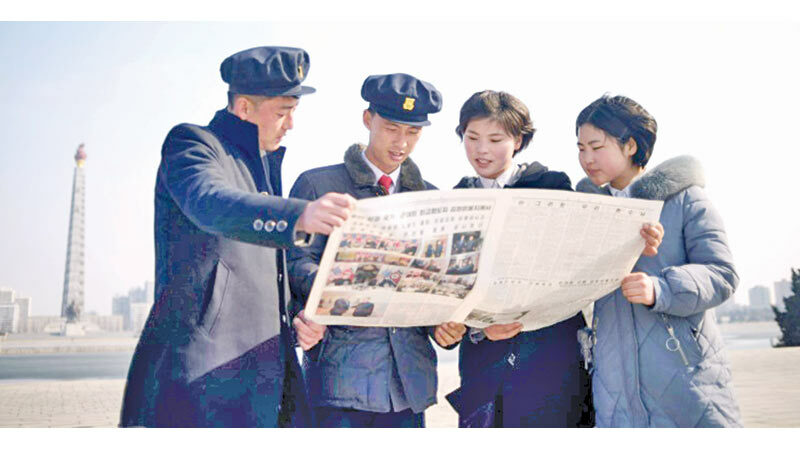 North Korean students in Pyongyang read the newspaper coverage of Kim Jong Un's summit with US President Donald Trump. VIETNAM: North Korea on Friday promised further negotiations with the US, as both sides sought to hold open the door while staking out their positions after their Hanoi summit spectacularly failed to produce a nuclear deal. The meeting between the North's leader Kim Jong Un and US President Donald Trump broke up in disarray Thursday, with a signing ceremony cancelled and no joint communique issued. Each sought to blame the other's intransigence for the deadlock, with Trump saying that Pyongyang wanted the lifting of all sanctions imposed on it over its banned weapons programmes. In a rare late-night press briefing, the North's foreign minister said it had only wanted some of the measures eased, and that its offer to close “all the nuclear production facilities” at its Yongbyon complex was the best deal it could ever offer. But the North's official KCNA news agency reported Friday that the two leaders had had a “constructive and candid exchange”. Relations between the two countries -- on opposite sides of the technically still unfinished Korean War -- had been “characterised by mistrust and antagonism” for decades, it said, and there were “inevitable hardships and difficulties” on the way to forging a new relationship. It described the Hanoi meeting as “successful” and said Kim had promised Trump another encounter. Similarly Trump said before leaving the Vietnamese capital that he hoped to meet Kim again. “Sometimes you have to walk and this was just one of those times,” an unusually downbeat Trump told reporters. The outcome in Hanoi fell far short of the pre-meeting expectations and hopes, after critics said their initial historic meeting in Singapore -- which produced only a vague commitment from Kim to work “toward complete denuclearisation of the Korean peninsula” -- was more style over substance. According to senior US officials, in the week leading up to the Hanoi summit the North Koreans had demanded the lifting of effectively all the UN Security Council economic sanctions imposed on Pyongyang since March 2016. Before that date, the measures were largely focused on preventing technology transfers, but more recent restrictions were imposed on several valuable industries in an effort to force concessions from Pyongyang, including coal and iron ore exports, seafood, and textile trade. “It was basically all the sanctions except for armaments,” a senior US official told reporters. “It tallies up to the tune of many, many billions of dollars.” In return they were only offering to close a “a portion of the Yongbyon complex”, a sprawling site covering multiple different facilities -- and the North is believed to have other uranium enrichment plants. Trump had urged Kim to go “all in” to secure a deal, the official said, adding Washington was willing to do so.